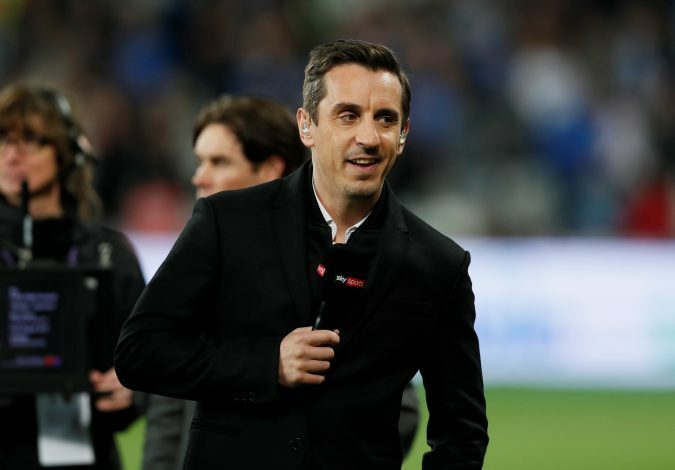 Gary Neville believes Manchester United will finish above Liverpool in the Premier League this season. Liverpool enjoyed a wonderful transfer window this summer. Jurgen Klopp managed to revamp his midfield by bringing in Naby Keita and Fabinho. Brazilian goalkeeper Allison also came in as the team’s brand new custodian, whereas Xherdan Shaqiri was signed to provide backup for Salah and Mane. On the other hand, Manchester United had a pretty torrid time. The board failed to fulfill Jose Mourinho’s demands of signing his targets. The United gaffer wanted to add five players to his squad, but only managed to three. Last season, Manchester City managed to run away with the title while Manchester United finish 19 points behind their city rivals. An underwhelming performance in the recently-concluded transfer window is likely to hurt the Red Devils in the title race this season. But United veteran Gary Neville is optimistic about his former club’s chance in the Premier League. On Sky Sports’ Super 6, the decorated full-back was put on the spot when he was asked who would finish higher between Manchester United and Liverpool. “United” he replied immediately. “When the dust settles, I still think Liverpool have got to prove that they are better than this Manchester United team over a season. Neville made an excellent point about Liverpool needing to prove themselves over the course of the season. The Reds have the ability to beat anyone on a given date, but failure to get past sides like Swansea and West Brom cost them last season.